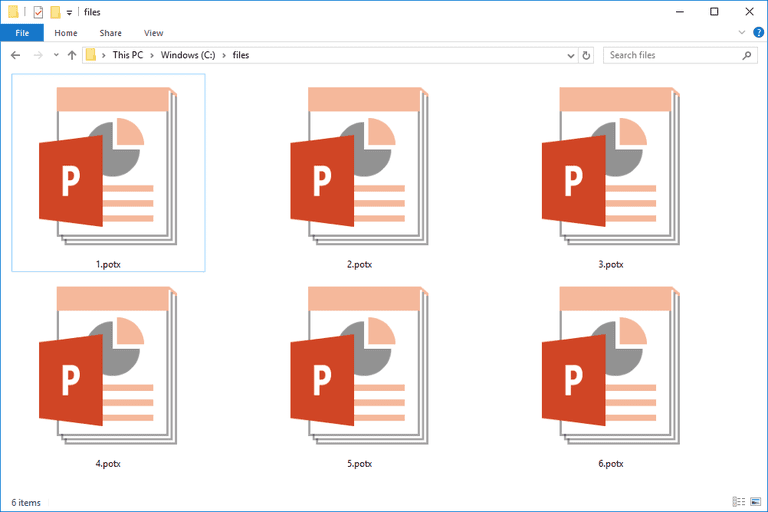 A file with the POTX file extension is a Microsoft PowerPoint Open XML Template file used to maintain the same layout, text, styles, and formatting across multiple PPTX files. Like Microsoft's other Open XML files (e.g. PPTM, DOCX, XLSX), the POTX format uses a combination of XML and ZIP to structure and compress its data. Prior to Microsoft Office 2007, PowerPoint used the POT file format to create similar PPT files. POTX files can be opened and edited with Microsoft PowerPoint, Planamesa NeoOffice for macOS, and even with the free OpenOffice Impress and SoftMaker FreeOffice. If you're using a version of PowerPoint older than 2007, you can still open the newer POTX file format as long as you have the Microsoft Office Compatibility Pack installed. If you're interested in just viewing a POTX file, you can do so with Microsoft's free PowerPoint Viewer program. If you find that an application on your PC does try to open the POTX file but it's the wrong application or if you would rather have another installed program open POTX files, learn how to change the default program for a specific file extension in Windows. There are two main ways to convert a POTX file to a different file format like PPTX, PPT, OPT, PDF, ODP, SXI, or SDA. Assuming that one of the above programs that support POTX files is already installed, the easiest solution is to open it there and then save it to a new format. Another way to convert a POTX file is a free file converter. Our favorite way to do this is with FileZigZag because you don't have to download anything; just upload the POTX file to the website and choose a format to convert it to.